What happens next when you’ve finished school? At POLIPOL, the possibilities are abundant. For example, work experience, even when you are still at school. Or an interesting and multi-facetted apprenticeship. Or a challenging dual course of studies. The only thing you have to do is take that first step: the application. Go on, give it a shot! At POLIPOL, everyone gets a fair chance. We offer you a comprehensive and intensive start into professional life. With team spirit and active cooperation, you lay the groundwork for your professional development in an expanding company with bright future prospects. Industrial business management assistants are needed in all areas of the company. From Purchasing to Logistics and Customer Service to Marketing. This multi-facetted apprenticeship also provides the qualifications needed in Sales and the Financial Department. Deployment in the secretarial office or as a management assistant is also possible. The apprenticeship takes three years and can – with good results and upon consultation with the company – be shortened by six months after the first year. Following qualification, there is the possibility of advanced training as a Certified Specialist, for example in material management, marketing or human resources. The training is also a good basis for further studies, e.g. a Bachelor’s Degree. 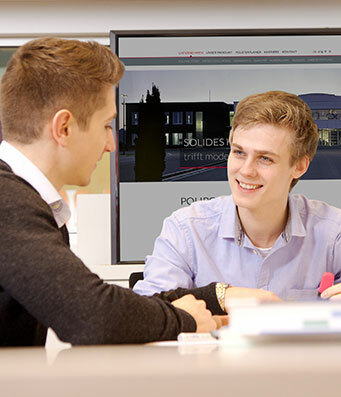 Our apprentices pass through all the operational departments from Sales, Customer Service and Route Scheduling to the areas of Finances and Controlling and Purchasing, Development and Marketing. Furthermore you will be familiarised with the overall structure of the Polipol Group and the cross-company working processes in various interdivisional departments. Every year, you will spend 1.5 days a week in theory classes in our responsible vocational school, the Berufskolleg in Lübbecke. In preparation for the final examination, our internal courses begin ca. three months before the written exams. This gives you the opportunity every week to clarify any questions from the vocational school which might still be open, to revise the material and prepare for examination questions under supervision. Without complex IT systems, many companies nowadays would grind to a halt. Qualified IT specialists develop, implement and administer this technology, adapting it to the special requirements of the respective department. They are among the most sought-after employees in the sector. At POLIPOL, you will generally take a project-based and processed-based approach. And will have the opportunity to assume a project management role. The apprenticeship takes three years and can – with good results and upon consultation with the company – be shortened by six months after the first year. Following qualification, there is the possibility of advanced training or a course of studies. During the apprenticeship, you will be deployed in all our IT-relevant departments. Depending on the specialisation, you will be more closely familiarised with the area of network administration and/or SAP/programming. In order to understand the working processes and the overall structure of our company, you will also pass through the most important commercial areas such as Sales, Marketing, Purchasing and Finances. In preparation for the final examination, our internal courses begin ca. three months before the written exams. This gives you the opportunity every week to clarify any questions from the vocational school which might still be open, to revise the material and prepare for examination questions under supervision. For specific technical topics, there is the option of external preparatory courses. The job of the upholsterer is more than just a trade. You will be trained in our development department where you will assume exciting tasks as a skilled worker once you have qualified. Together with Sales and Marketing, and working self-reliantly, you will develop upholstery models for fairs and showrooms, find creative solutions and establish new trends. The apprenticeship takes three years and can – with good results and upon consultation with the company – be shortened by six months after the first year. Following qualification, there is the possibility of advanced training as a master craftsman, technician or a technical business economist. In our company you will be trained not in the production department but rather in the development department. Here, models of new styles and variations on existing ones are developed and upholstered as prototypes. During your apprenticeship, you will pass through all the work stations – from the initial idea to the creation of a finished item of upholstered furniture. Your will acquire manual skills in the sewing room, in the cabinetmaking workshop (framework construction), in metal construction and design as well as, of course, in the upholstering workshop. One or two day a week you will attend theoretical lessons in our responsible vocational school, the Wilhelm Normann Berufskolleg in Herford. In preparation for the theory examination, a one-week preparation course will take place in a training centre (full-time). This will give you the opportunity to clarify any questions from the vocational school which might still be open, revise the material and prepare for examinations questions under supervision. We as the apprenticing company look after the preparation for the practical examination and support you in every examination area. The dual training programme combines a solid commercial apprenticeship with a course of studies in Business Administration and prepares you comprehensively for the assumption of positions of responsibility in the company. You will be deployed primarily in projects in the various commercial departments, giving you a comprehensive overview of all the important processes in the company. The dual course of studies takes a total of four years; the final examination in the apprenticeship can be taken after 2.5 or three years. Afterwards, in consultation with the company, it is also possible to study for a Master’s Degree. At the end is the Bachelor Thesis. In the initial 14 months you will be deployed entirely in the company, and pass through all the major areas from Sales to Material Management and Financial Management. From the 15th month, the course of studies at our cooperating university will commence. Thereafter three-monthly theory phases at the university alternate with practical phases in the company. You will be deployed primarily in projects which prepare you for the Bachelor Thesis and for roles of responsibility in our company. You will be assigned a mentor as a contact partner, who will guide you in the practical phases and support you in completing your Bachelor Thesis. The interim examination will be taken after ca. 1.5 years; after 2.5 or 3 years, the final examination will be taken in the apprenticeship profession Industrial Business Management Assistant. At the end of the course of studies, a Bachelor Thesis has to be completed, in cooperation with the company and the university. 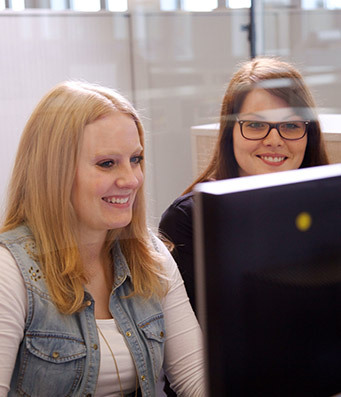 Please send your application documents with curriculum vitae and copies of your most recent school certificates, preferably by e-mail, to bewerbung@polipol.de.